NBC presented the remake of the classic 1975 screenplay ‘The Wiz Live!‘ last night December 3, 2015 and it was a historic online event! 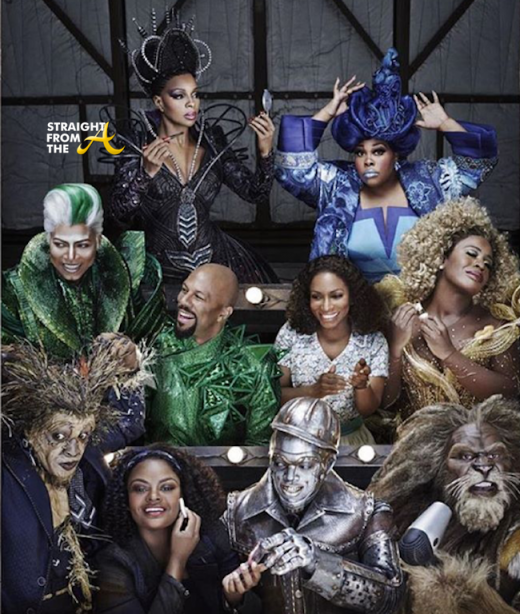 The one night only performance featured the debut performance of 19 year old Shanice Williams, as the lead character of Dorothy and an all-star supporting cast which included Queen Latifah, Mary J. Blige, Common, Ne-Yo, Uzo Aduba, David Alan Grier, Amber Riley and Elijah Kelley. Stephanie Mills (The original Dorothy) was even on board for the recreation of the American Classic, which took up two hours and 45 minutes of tv time. While I’m almost positive that it was entertaining to preteens, those of us over the age of 12 enjoyed it as well, and we partied online during the show by sharing our thoughts via social media (aka ‘Black Twitter). Actress Keshia Knight-Pulliam poses with iconic songstress Patti Labelle backstage at the Fox Theatre last Thursday evening (August 6, 2015). The AIDS Healthcare Foundation (AHF), the world’s largest AIDS organization, and the AHF Black AIDS Crisis Taskforce (ABACT) played host to a free concert/voter registration rally on August 6th at the historic FOX Theatre in Atlanta, GA to commemorate the 50th anniversary of President Lyndon Johnson signing the Voting Rights Act of 1965 and draw attention to health disparities that continue to affect communities of color. The event featured live music performances by Grammy- and Oscar-winning rapper/actor Common, legendary singer/actress Patti LaBelle, a keynote address by National Action Network Founder and President Rev. Al Sharpton and appearances by other special guests including the Prancing Elites of Oxygen Media’s The Prancing Elites Project. 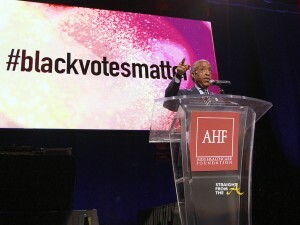 “Vote 2 End HIV: #BlackVotesMatter!” will issue a grassroots call-to-action for black voters to play an active role in the 2016 elections and call for increased governmental resources directed towards the prevention, care and treatment for HIV/AIDS in black and Latino communities—the ethnic groups statistics show are the most affected by HIV. Other attendees included: Nene Leakes, Towanda Braxton, Jasmine Guy, Kenya Moore, Keisha Knight Pulliam, Kelly Price, (Miss) Lawrence Washington, Derek J, Algebra Bessett, Carl Payne, TC Carson and many more. 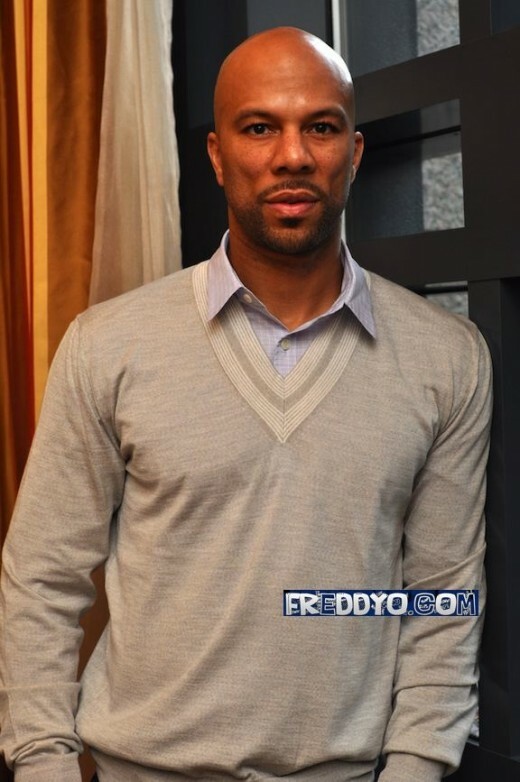 Hip hop star turnt actor, Common played host to an exclusive private screening of his new film at Atlanta’s Frank Ski’s Restaurant Friday evening (January 11, 2013). Common’s movie is entitled ‘LUV’ and he stars in it alongside newcomer, Michael Rainey Jr. The two appear onscreen as an impressionable kid and his badass uncle in what is billed as a ‘coming-of-age story’ set in Baltimore. The film’s director, Sheldon Candis and producer, Sean Gates held a question/answer session after the screening for the audience of Atlanta influencers & media. Check out these links from a few of my favorite sites! 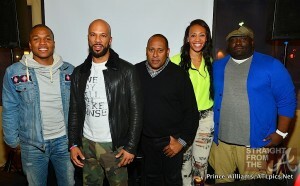 Common was in town last week promoting the upcoming release of his new feature film “Just Wright” with Queen Latifah. The movie is a romantic comedy that marks Common’s leading man debut. In his first starring role, he plays an NBA All-Star (Scott McKnight) who gets torn between true love with Queen Latifah’s character and groupie love from her friend who aspires to be an NBA trophy wife. One of my friends that plays in the NBA, Barron Davis, I just went and talk to him not only about the NBA but also what made him start playing basketball. Then I would just be around him and look at his lifestyle and talk to him about all of the thoughts and experiences he had. Then I got to talk to D. Wade and a couple of other cats that play in the league. Everyday, I would train with the assistant coach from the New Jersey Nets and at the time I was filming the movie “Date Night”. So during the day, I would do whatever physical training and whatever preparation for my character. Just staying focus and trying to eat healthy… It was like a training camp, a boot camp but I loved it though. CLICK HERE to watch “Just Wright” trailer. 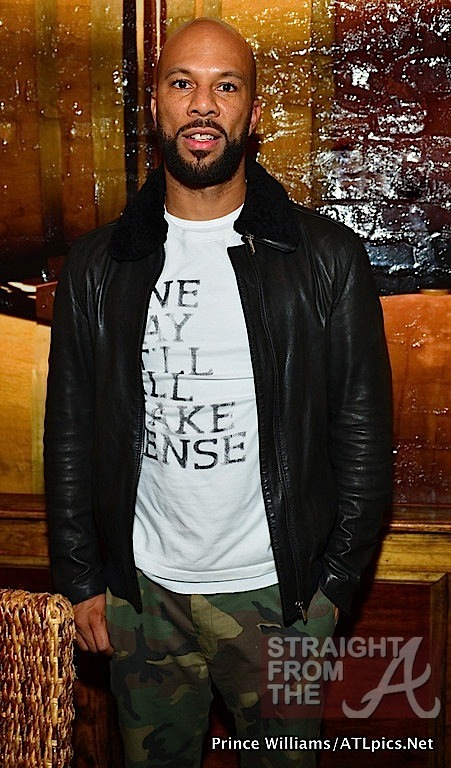 Yeah… I could definitely tell Common’s been working out! He was a lean, mean love machine!